Wrinkled sheets covering mysterious messy lumps on a double bed. Worn-out cushions on the 20-year-old sofa. Red floral rug that looks like it was taken from your great-grandmother’s sewing room. Dark rooms that don’t enhance the space at all. Do any of these sound familiar? If you said yes, then maybe you have had the opportunity to browse some British estate agencies websites, although that is not an exclusivity of the UK. However, this lack of vision when putting together a property listing is something you definitely would never see in Sweden. Swedish estate agencies seem to be on another level, almost another planet. Their websites look like an architect’s practice site, where you sit back for a second and wonder if they sell houses or actually build them. They are just as sleek as high-end furniture catalogs, and for a moment you forget you are on a real estate agency website. In Sweden, Home Staging is a tried and tested method for adding value and increasing the saleability of a property. In Scandinavian countries, it is a part of the sales process, known and recognised for being effective. They know it works, no questions asked. According to Anna Grönlund, founder of Hemisfär, a Home Staging company that covers the southern parts of Sweden, the activity is very popular in the Nordic country. When selling a house or apartment, most people get help from stylists to get their home looking its best. If the house/apartment is empty, the need for a home stylist is bigger than if the home already has furniture. In some cases, the real estate agent includes this service in the property sales package, meaning that the agency hires the home stager. In other cases, the customer contacts the company directly - pretty similar to how it works in the UK. Hemisfär was founded in 2014 when Anna felt the urge to create something different after working for years in the fashion industry and as an editor and graphic designer for magazines. The idea was to provide a ”full spectrum” interior service, including renovation, interior decoration, home staging and property photography for real estate. Within a couple of months the home staging department was blooming and all focus was set on that, having direct clients and real estate agencies as their main clients. They still offer renovation services (as Anna’s husband is a very talented carpenter!) and photography, but they have noticed that the demand lies on home staging and styling. Like in the UK, some properties are empty and need to be fully furnished before listing, while some properties have furniture and only need help with the final touches. However, here’s something the Swedes do that we don’t see as often in the home staging scene in Britain: fresh flowers. That’s the number 1 scandi finishing touch when styling a property for pictures. “We have our typical Scandinavian style which is also very popular around the world. The reason it works so well here is because of the crisp light we have. Another expression for “Scandinavian style” is “Nordic light” and that alone says a lot. We keep our colour palette less saturated and focus a lot on white, grey and black. Nature materials play a large role as well as plants”, says Anna when asked about the difference of staging styles around the world and in Sweden. Less colours and more nature-inspired pieces: that’s the recipe to get the perfect Scandinavian style and do it like the Swedes do. And let’s not forget about Ikea: as much as it can be seen as a budget resource, the Swedish brand is often present in Scandinavian homes, and they are very proud of it. The Hemisfär Founder highlights: “The Interiors world has never been as popular as it is now, and the possibility of finding nice decor options of all types and all budgets makes it more accessible for anyone”. Yes. Call it accessibility, globalisation or inspiration. 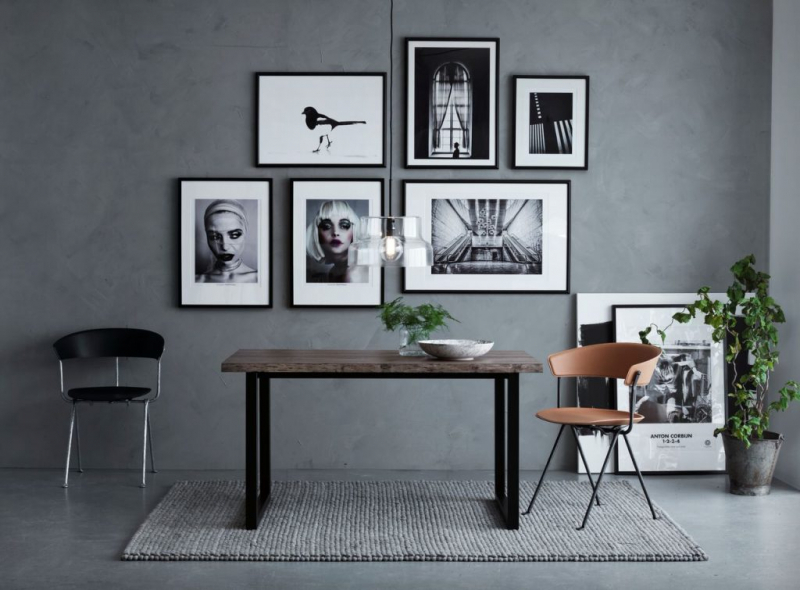 Scandinavian interiors have become such a world wide trend and it has been opening so many doors for a bolder type of design - we might as well start calling this global trend that came to stay a gift. The gift of Scandinavian style, a Nordic interior enlightenment. To find more about Hemisfär or to see more of their amazing projects like the ones above, please visit their website or follow them on Instagram: @hemsfar..